Today marks an important milestone for Mashape. We’re excited to announce that we’ve closed an $18M Series B funding round, led by Andreessen-Horowitz, with previous investors CRV and Index Ventures participating. It represents all the hard work by the team, our dedication to building the best and most open API Gateway for the enterprise, and Kong going mainstream around the world. 1) APIs play a central role. The Industrial Revolution of Software is happening. Many years ago, we had a vision of how software was going to be built. It looked a lot like the assembly line of Ford Motor Company that helped launch the Second Industrial Revolution (I wrote all about this in a blog post back in 2012). In Ford’s time, electrification represented the underlying requirement for innovation, and the assembly line was the practical combination of electric and human power, resulting in massive improvements in productivity, efficiency, and creative cycles. Today, cloud computing is the electrification of the software world, and APIs and OSS are the resulting means of production. The Software Industrial Revolution isn’t happening in a vacuum, of course, and it’s far from over. Until a few years ago, most companies were developing heavy, monolithic applications weighed down by proprietary code. Since the rise of container and orchestration technologies like Docker, Mesos, and Kubernetes, applications can be decoupled into smaller components, creating thousands of microservices that communicate and work together via APIs. Software architecture and operations are going smaller, more lightweight, shapeless, fast-moving, and dynamic, but also much more complex and interdependent. Oncoming is serverless and the rise of micro-functions. These profound changes have created 1000x more APIs than before and billions of internal requests that need to be secured, managed, and orchestrated while maintaining low latency. Microservice APIs are mission-critical. 2) Kong momentum. This round of funding has been validated by the growing Kong community and rapid adoption of Kong in production among large enterprises. Global companies like Rakuten rely on Kong to manage their business-imperative microservices API strategies. Fast-growing startups also make the Kong API Gateway a core part of their expansion. For example, Giphy uses Kong to maintain its massive and growing platform for sending GIFs everywhere via any channel. We originally built Kong to run the API Marketplace, but the community has made it so much more. Its success in the open source underscores Kong’s role as the de-facto standard to manage, secure, and orchestrate internal APIs. It’s the air traffic control for the cloud computing era. We’re proud of the fact that Kong is the most popular API repository on Github, managing thousands of APIs and billions of requests, and has now crossed 2 million downloads and grown monthly active instances 27x year over year. Where there are microservice APIs, there is Kong. 3) a16z and Martin. 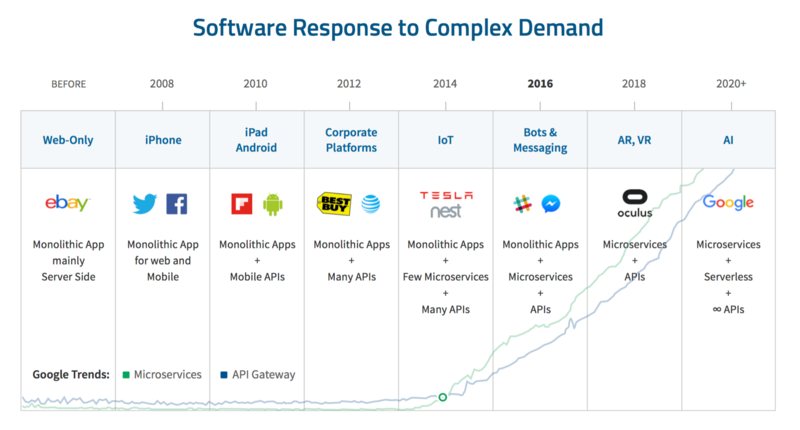 Mashape has been an important leader and pioneer in the API market for more than 7 years. We’ve worked very hard to build this company and community. We believe this is the largest Series B round ever in the space and shows the opportunity for Mashape to grow. Andreessen-Horowitz has a special understanding of open-source businesses, having invested in other leading OSS companies like Mesosphere and Databricks. Martin Casado led the round and has now joined our board. Martin is a technologist and an entrepreneur, and was the co-founder of Nicira (acquired by VMware for $1.26B in 2012). He understood right away what we were doing, and the impact Kong was having on developers and enterprises. Similarly, we were impressed with Martin’s shared vision for microservice APIs and the belief in the role Kong would have in driving new innovations like serverless and IoT into the mainstream. There are many similarities between Nicira and Mashape: while they were connecting ports, we’re connecting APIs. We are thrilled to partner with him and learn from the team at a16z! 4) Struggle and perseverance pay off. From our earliest days together in Italy to the years we spent living nearly homeless around San Francisco, as founders we never lost faith in our quest to improve the way software is built and managed. Our belief and commitment remains unwavering. All that’s changed is there are now a few million additional developers (and millions more to come!) who are helping us drive the vision for what’s next. This financing will allow us to hire and grow engineering, support, marketing, and sales to continue our mission of brokering software, one HTTP call at a time. In addition to the financing, we are excited to highlight our recent release of Kong 0.10 with load balancing, service discovery, WebSockets, and AWS Lambda support. Kong core will always remain open-source, and new, exciting features will land in the years to come. The community and ecosystem have expanded rapidly in the recent months, and we now have the resources needed to nurture and support the Kong around the world. You can create or join one of the 107 Kong meetups near you! Our enterprise customers are growing rapidly. While further developing Kong open source, we’re also accelerating the development of advanced features for large teams and organizations in need of SLAs, monitoring, on-boarding, security, machine learning, RBAC, high availability, and multi-region scale for an enterprise-grade platform, delivered both on-prem and in the cloud. Last, but not least, we would like to thank our Mashape team, customers, and partners. We wouldn’t be here without you! A special thanks to our early board members Devdutt Yellurkar from CRV and Mike Volpi from Index Ventures, and our early investors and advisors who have supported us for a long time. We had a defining year in 2016, and we look forward to building a long-lasting, iconic enterprise company built on top of this Kong-strong foundation.